Answers the demands of the professional HDTV photographer with a compact and feature packed acquisition tool. The camera is compatible with DVCPRO HD, DVCPRO50, DVCPRO25 and consumer DV recording standards. It uses 3 wide aspect CCDs for true 16:9 recordings. It has a wide angle Leica Dicomar 13x Zoom lens with advanced glass coatings. The most significant advance is that it uses the P2 memory cards for recording. This disk based recording medium makes the video immediately accessible to non-linear systems leaving behind a digitizing process that tape always required. The flag is a square or rectangular frame with mounting pins attached. Used to control natural or artificial light. 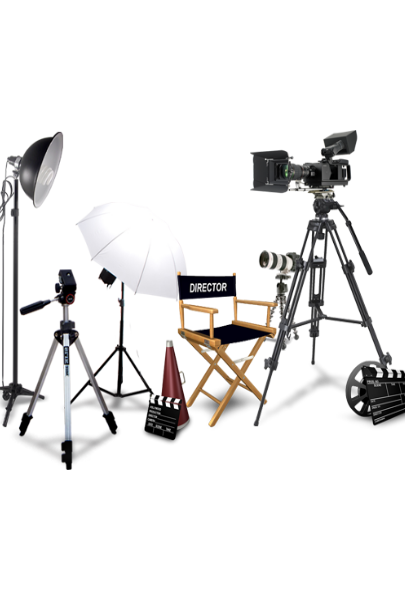 Can be used to protect the camera lens from flares, control spill light from other sources, or keep light from reaching an area on the set.